iNet - explore your network! 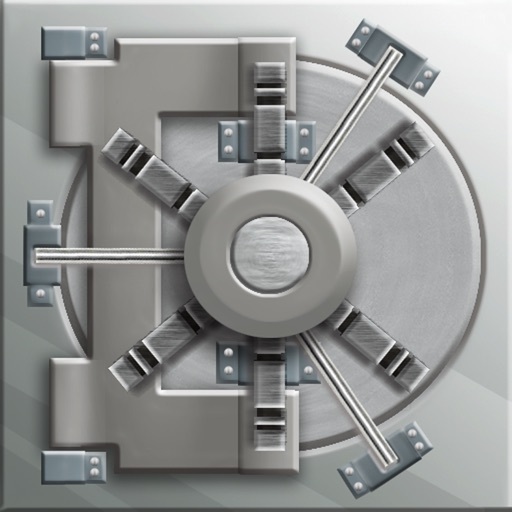 Find out about security risks and keep your network under control. Which devices are connected to my network? Are they online? Which services do they provide? 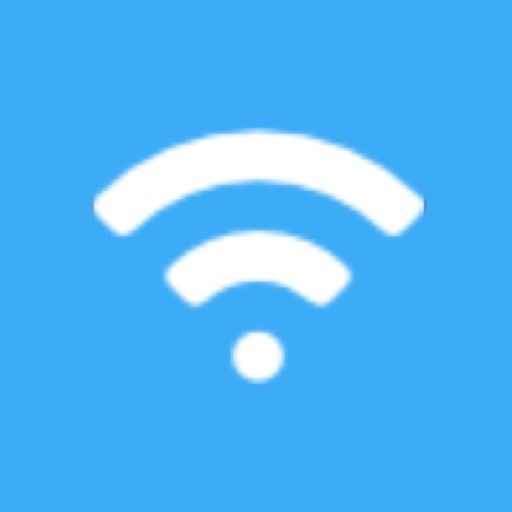 Does somebody use my wifi network without my knowledge? These and other questions answers iNet fast and simple. With iNet you know exactly what's going on! This easy to use App outlines a computer network even to the unexperienced user. iNet provides you with information about networks your iPhone or iPod touch is connected to. Its very easy and user friendly design even allows the unexperienced user to get a profound and understandable overview of a network and the running services. iNet shows the devices connected to your local network, e. g. a computer or router, along with their name, IP and vendor. iNet discovers and distinguishes between windows and macintosh computers with different icons. 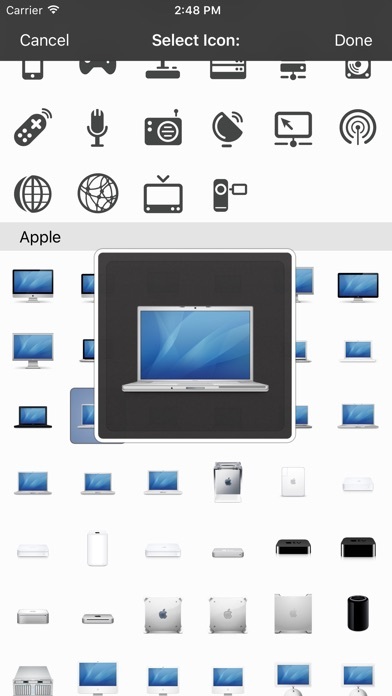 For most Apple Computers the particular computer model can be seen. 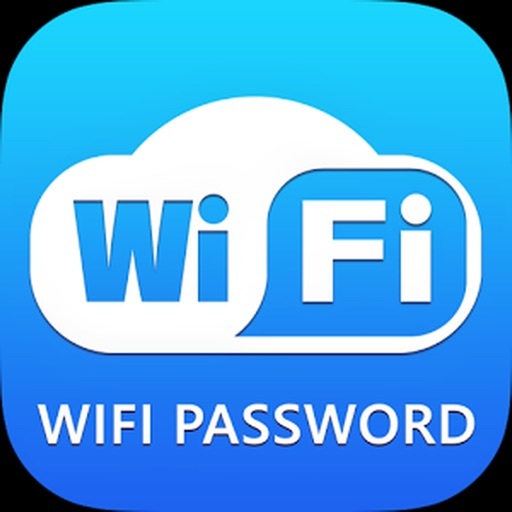 Find out the name, vendor and IP of the connected devices as well as the number of running Bonjour services on that particular device. A classic portscan on the choosen device can also be performed. The technology used in iNet scans on a very low level, therefore one can even find machines that don't want to be found, for instance a Mac OS X computer running in stealth mode. 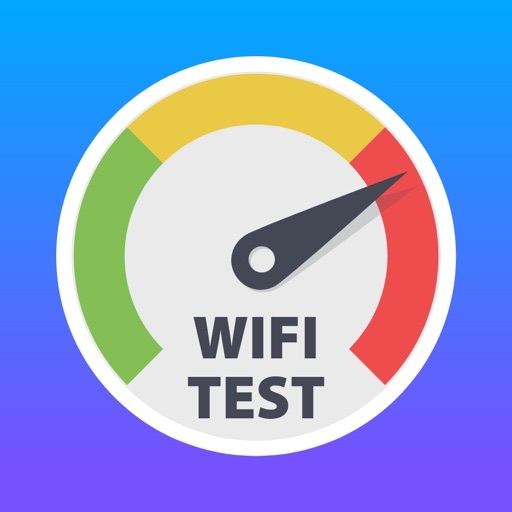 Ping is a computer network tool used to test whether a particular host is reachable across an IP network or not. The ping section in iNet enables you to find out if an IP exists (if its ping service is enabled; otherwise you will get no response :-)). For your convenience we added a bookmark function to store often needed addresses. Bonjour, also known as zero-configuration networking, enables automatic discovery of computers, devices, and services on IP networks. 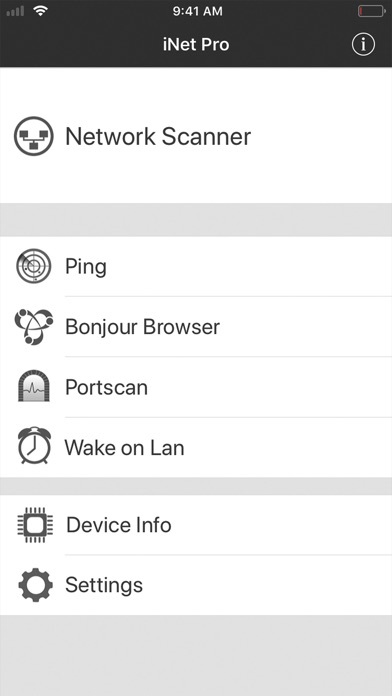 Bonjour uses industry standard IP protocols to allow devices to automatically discover each other without the need to enter IP addresses or configure DNS servers. 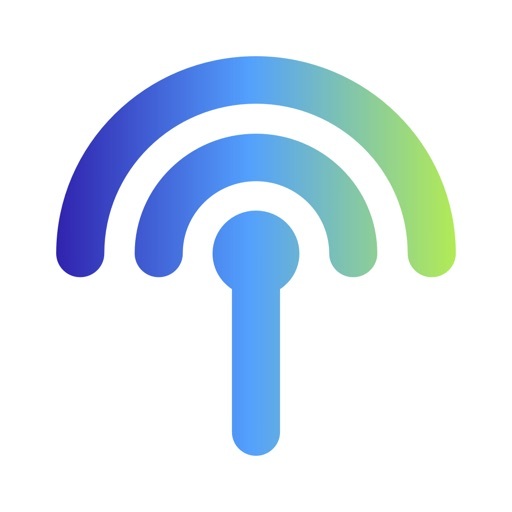 The Bonjour-Browser in iNet scans the connected local network for Bonjour services, detecting any hardware that ist connected via the Bonjour protocol (for instance computer, router, printer, …) and any software running Bonjour services, e. g. iTunes or Filemaker. The outstanding feature of our implementation is that it is very easy to use and simple to setup. For more information see iNet WOL, our stand-alone tool for WOL. Applications on devices communicate with the outside world through so called TCP ports. 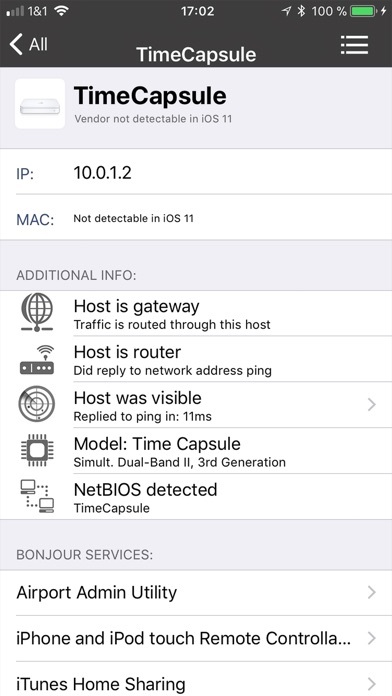 iNet detects wether a port is open or closed. For all detected open ports the service using this port is displayed by its real name (if available). 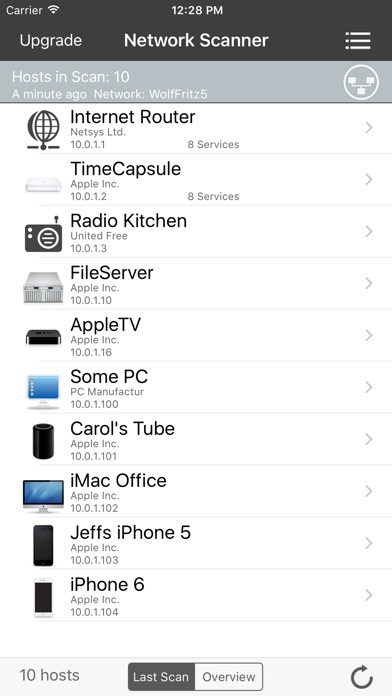 The device info in iNet shows some information related to your iPhone or iPod touch, e. g. its name or its IP. The modularisized structure of iNet allows to add more features and scanning methods in the future. We will implement by time more network monitoring tools, e. g. DNS-Querys, Traceroute, Whois lookup etc.. iNet Pro will be updated on a regular basis as before. 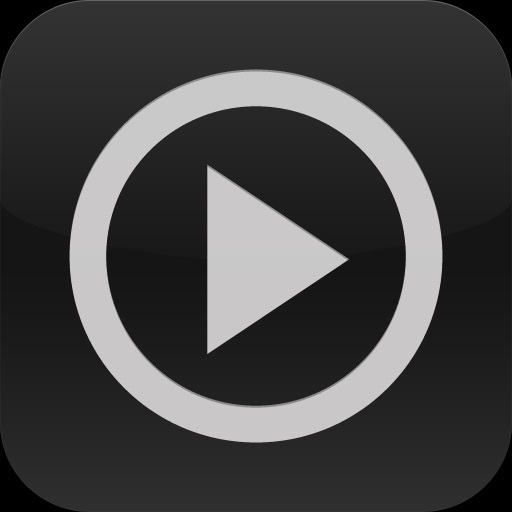 In addition we released iNet for Mac in December 2010 - available via the App Store. If you want to know what's going on in your local network - iNet Networks Scanner gives you a profound answer. P.s. : In case you need just the network scan feature of iNet Pro, use the free version iNet - Network Scanner. 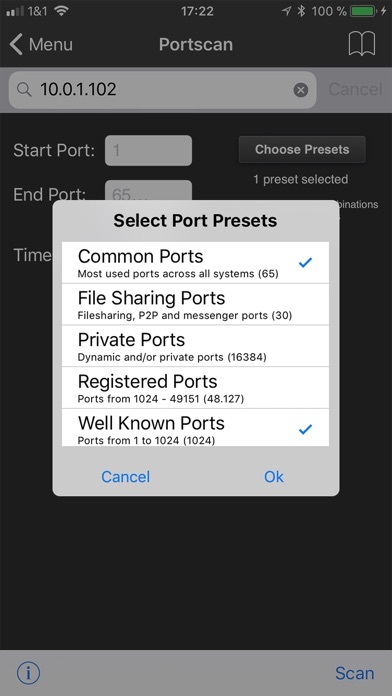 You can always update to iNet Pro from within iNet to access its full feature set. 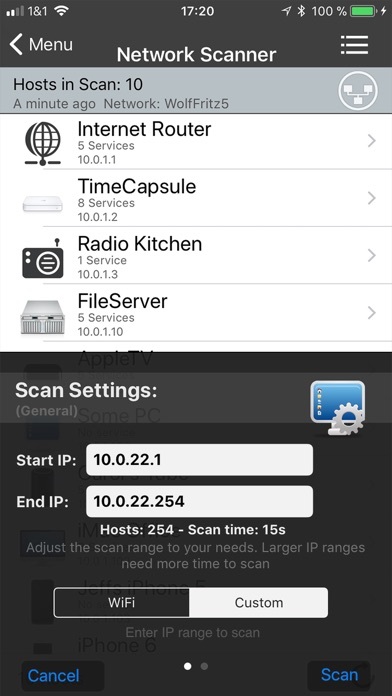 My go-to app for network scans and management after having tried and tested almost all apps in the store. Have used this for over about a decade now. Don't get the new version!! The new version charges you for most of the things already included in this version. That is the only difference! Stick with this one. My brother-in-law turned me on to this app and I'm glad he did. 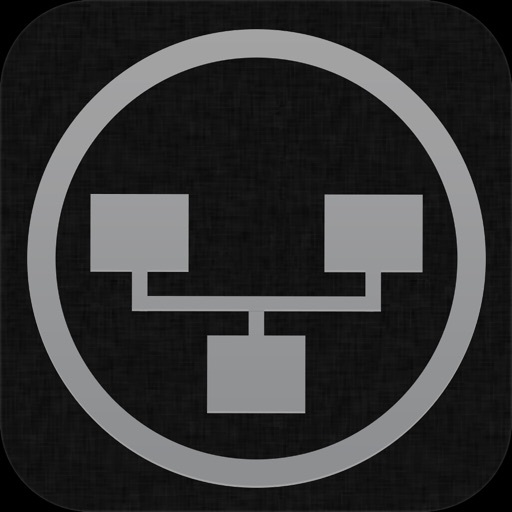 It is super easy to use and gives you a lot of information and control over the devices on your network. It is much better than the network management of my router. Does exactly what it states, no fuss and in a speedy manner. Support is also amazing. I highly recommend it. Custom icons are icing on the cake. Kind of like a network multimeter in your pocket! Been using it for years. Handy tool and indispensable for diagnosing things from time to time. I've loved this app from the start! Does what I want, with no surprises on updates. 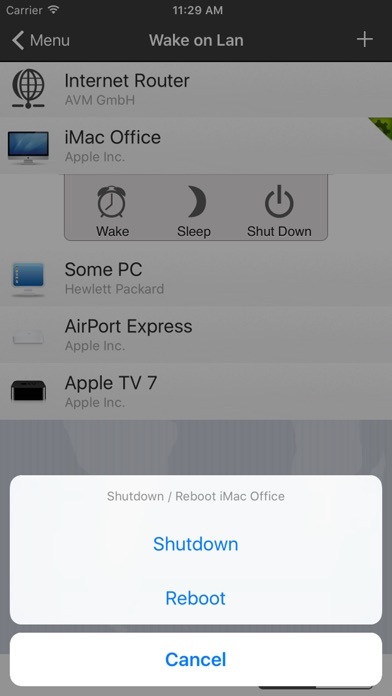 I recently was victimized by a hacker and malicious code , on an iPhone 6 and that is all I have . I'm decent at technology but far from a hacker or hacktivist , I get by . Anyway this POS was eating my lunch , disabling my router AirPort Extreme and very close to my iPhone being next . I screamed for help in the silent catacombs of the internet feeling helpless , hopeless and alone . Suddenly almost as if out of nowhere I sensed a presence guiding me pointing a way , nudging and pointing prompting and patiently waiting for me to catch on . Needless to say I (we were)was victorious , the I'm assuming here the designer developed we shall we say the creator of the app that saved my and my properties collective asses ! I CANNOT SAY ENOUGH AND WOULD JUST LIKE TO EXTEND MY GRATITUDE AND APPRECIATION TO THE PERSON(S) ResponsibleFor The Outcome Of That Nite Early Morning , yes it was several hour in the wee hours and I stand by this product the way t his/these mm(armemean /men did me !ThecApp Does What It IClsims and then some ! And The People Behind It Well Lets Just Say There Aren't Many Left Like Em ! Gentlemen , Hats Off to you , Gratefully Ronnie Stouder.